New Zealand made from real medical grade sheep skins, our premium sheepskin mattress cover provides supreme comfort for all ages year round. 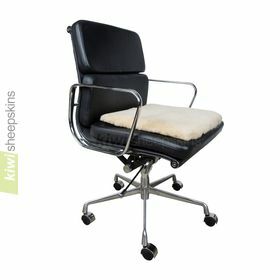 Unlike wool underlays this is made from genuine sheepskins. Each sheepskin bed pad consists of pieces from a number of shorn medical sheepskins which are carefully sewn together. For added comfort and luxury they have a lightly padded quilted backing with cotton fabric outer layer. Rectangle in shape, they are designed to cover the whole bed and have elastic straps to hold them in place. Note the underlay will typically sit around an inch in from the outer edges of the mattress so that it can be kept taut. The ready acceptance of sheepskin medical underlays and accessories by hospitals and institutions throughout the world is testimony to their wonderful natural healing qualities. Medical bed pelts help prevent discomfort caused by pressure points or bed sores that occur during long periods of immobility. A strong tannage ensures that wool fibres remain firmly bound to the leather backing, preventing the shedding and fiber collapse often found in woven alternatives, and ensuring years of restful sleep. Wool fibres are naturally soft, springy and resilient. Not all sheepskins exhibit the same degree of resilience and density. However those used for our medical bed underlays have been carefully selected by Classic Sheepskins' experienced staff for this specific purpose. The springiness of the wool pile distributes pressure evenly over the body naturally eliminating pressure points which could cause restlessness. It also allows air circulation thus dramatically reducing the build up of moisture resulting in coolness in summer and warmth in winter. As wool is capable of holding up to a third of its own weight in moisture without feeling wet to the touch, perspiration is readily absorbed and dissipated by natural evaporation. Place the underlay directly on the mattress with or without a sheet over it. Ideal for invalids, convalescents, sufferers of backache or arthritic pain. Our medical sheepskin bed underlays are fully machine washable using a suitable enzyme-free wool wash such as our Woolskin Wool Wash/Sheepskin Shampoo. 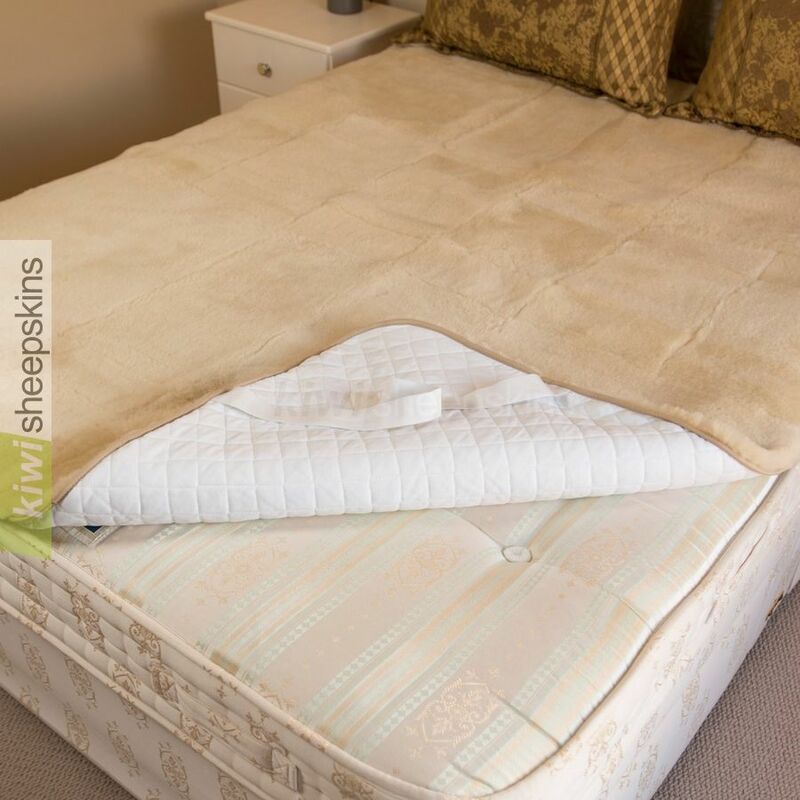 Although these premium sheepskin mattress pads will give years of relief and comfort, if they are outside of your budget, our natural pelt-shaped medical sheepskin underlays which use the exact same premium grade of medical sheepskins, but at a considerably lower price, may be ideal. Customer reviews/feedback regarding for these medical sheepskin bed pads. I am really enjoying sleeping on your beautiful sheepskin underlay. I am having a more restful sleep. My husband likes it too (he always sleeps well). Thank you once again. We received the sheepskin bed underlay today. We put it on the bed and it fits perfect. Thank you so much for the excellent service and follow up. 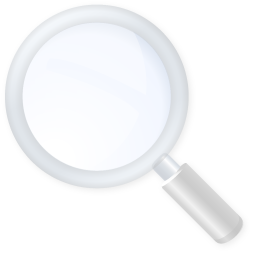 I would not hesitate to recommend you to my friends if ever they are looking for a similar item. Thanks again and have a beautiful day in Kiwiland. Just wanted to let you know it arrived today and it is just beautiful. Thank you so much for all your advice and for the incredibly prompt delivery. It is a great comfort to us at a difficult time. I wish to acknowledge safe receipt of my order this morning, in less than four full working days. Letters posted from Warwick Qld to Toowoomba Qld, 70 kms away often don't do better than that! We are delighted with the quality of the sheepskin underlay and the finish of the product. I am sure that my husband who suffers badly from arthritis will get a lot of comfort from it. Thank you for your helpful notifications re despatch of the order. With many thanks. Thanks so much for all you kind attention. The wool underday is quite possibly my most favorite gift to myself ever. Your customer service was professional and reassuring. I have enjoyed our interaction and your great follow through, and again, thanks! Just a quick note to let you know that my order arrived safely with me this morning. As usual, the goods are of extremely good quality. I am absolutely delighted with the underlay. I am now 76 years of age and have some trouble with my right hip. I got a really good night's sleep after fitting the underlay. Marvellous ! Thank you once again for the great quality, service and delivery. Best wishes to all at Kiwi Sheepskins. Many thanks received the item in top condition today. Very speedy service and a painless transaction. We just love the underlay. Your service and products are tops. Thanks so much! Mr & Mrs I. H. B.
Dear Kiwi Sheepskins... I am no longer counting sheep to sleep! Thank you. I love my bed now! We've just moved into the new house and spent our first nights on our new bed last weekend - absolutely delicious! Thank you so much.